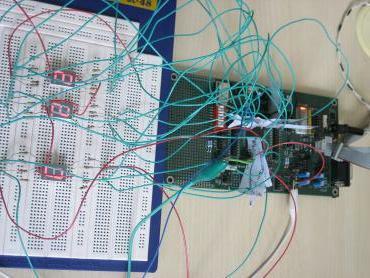 All the demos are implemented on Freescale�s M68EVB912D60 evaluation board that has MC68HC912D60, 16 bit microcontroller. Driving LCD panels and making simple video games: Done by Mehmet Cakan, Soner Isiksal, Enes Furkan Kahya, Naciye Uyar.� Fall 2008. Battleship Game: Sercan Alturk, Oguzhan Uyar, Metin Latifoglu. Fall 2008. 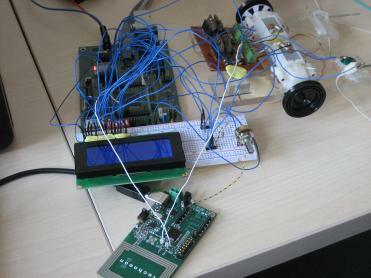 Keyboard controlled musical tune generator: Done by Berk Camli, Caglar Turkarslan, Cagri Sarigoz. Fall 2008. Digital Thermometer: Done by Ilker Simsir, Sevda Mercan, Serhat Aydogdu. Fall 2008.